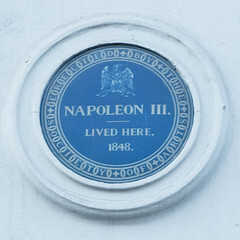 English translation: "Napoleon III Emperor of the French lived in Camden Place from 1871 to 1873. 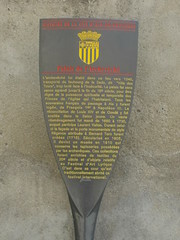 He died there on January 9, 1873. 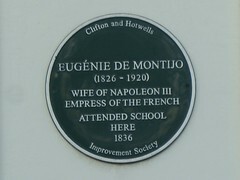 The Imperatrice Eugenie lived there from 1870 to 1881. 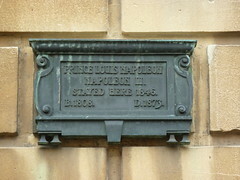 The Prince Imperial lived there from 1870 to 1879. He died heroically in South Africa Under the British uniform"